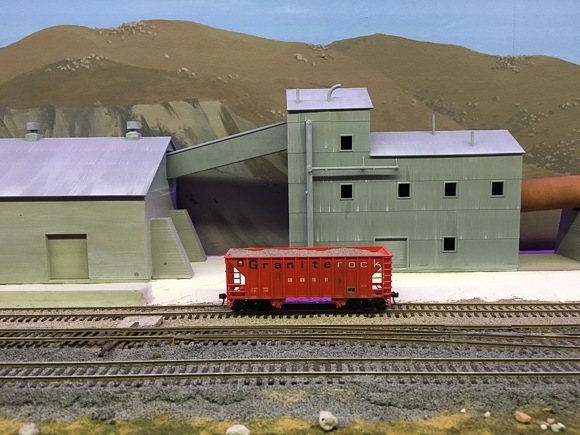 The West Bay Model Railroad Association is holding its annual open house for the public to see model trains running on a new large layout on Saturday, December 5, 1:00 to 5:00 pm and Sunday, December 6, 5:oo to 9:00 pm. 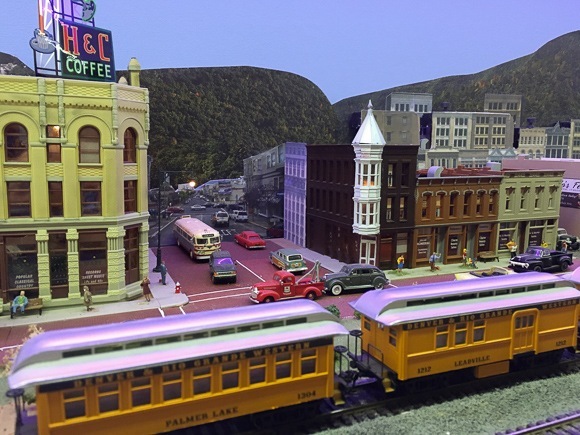 The event will be at the Model Railroad Building (1090 Merrill St.) near the Ravenswood Avenue crossing of the railroad tracks in Menlo Park. 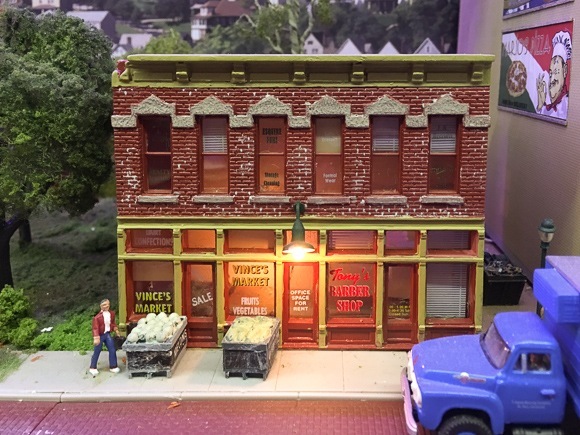 What caught our eye was the attention to detail in every scene, including how cars and people are placed within each setting, which showcase a dozen or so industries. The model railway group was formed in 1951, and the original layout, which had three different scales, lasted for 60 years. The new layout is HO scale only. There are about 18 active members in the group, mostly retirees, who meet Wednesdays and Saturdays to work on the model. Their plans for the lower level include a rail yard and passenger station as well as the addition of more industries. Admission to the open house is free; donations are appreciated as they will help fund additional work on the new layout. Note: Caltrain’s Holiday Train is scheduled to arrive at the Menlo Park station at 7:45 pm on Sunday.